From the time she was accepted into the Mind-Body Medicine PhD program, doors began to open a little wider for Lynne Shaner. 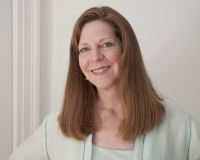 She is a mind-body medicine practitioner, working in private practice in Washington, DC. She has a practice specializing in EFT (Emotional Freedom Techniques, or “tapping”), hypnosis, and Reiki. Her participation in the Saybrook PhD program has deepened her knowledge of the areas she works in, and has opened up an entire range of mind-body skills and techniques, which she now uses regularly with clients. By being trained in mind-body skills officially by the Center for Mind-Body Medicine as a result of being in this Saybrook PhD program, she has many more skills and techniques to offer her clients. Her confidence levels in and understanding of what mind-body medicine is have grown significantly, and whether she is presenting mind-body medicine at the National Cathedral in Washington DC, at a local cancer-support outreach group, or with a group of staff at a local hospital, she has the evidence-based knowledge at her fingertips to bring to bear on the talks and presentation. It has “upped her game” powerfully. Many health professionals she works with, including physicians and nurses, have said that the fact that she will soon have a PhD will be helpful to them as they consider referrals. The field of mind-body medicine is still a kind of frontier. Having a PhD from a rigorous, accredited University program gives her a solid and powerful credential. It is opening doors and she anticipates that it will continue to do so. Two quick stories: Lynne loves hypnosis and was already a hypnotherapist before she came into the PhD program, but she now has been under the training of Drs. Eric Willmarth and Darlene Viggiano, who are both very skilled. She has now worked with many more clients in hypnosis and with two persons in the relatively new modality of tele-hypnosis. 1) The first individual she mentioned needed to undergo dental work without Novocain. As a result of her tele-hypnosis via Skype and through an audio-recording, the patient was able to undergo the procedure with minimal discomfort. 2) The second individual had a difficult medical problem that was not resolving by standard medical care (an extremely difficult bladder condition). Her situation has now greatly improved as a result of a combination of in-person hypnosis and audio recordings used before sleep. Lynne’s training under the Saybrook Mind-Body Medicine hypnosis faculty “stars” is what gave her the technical ability and confidence to tackle these difficult situations and help the clients achieve important goals.